Happy New Year! Is it too late to offer up such a greeting? Either way, bigLITTLE sends its greetings for 2014. We are absolutely buried in snow up here in Northern Michigan. We’ve been taking arctic air beat-downs with high winds and plenty of snow. 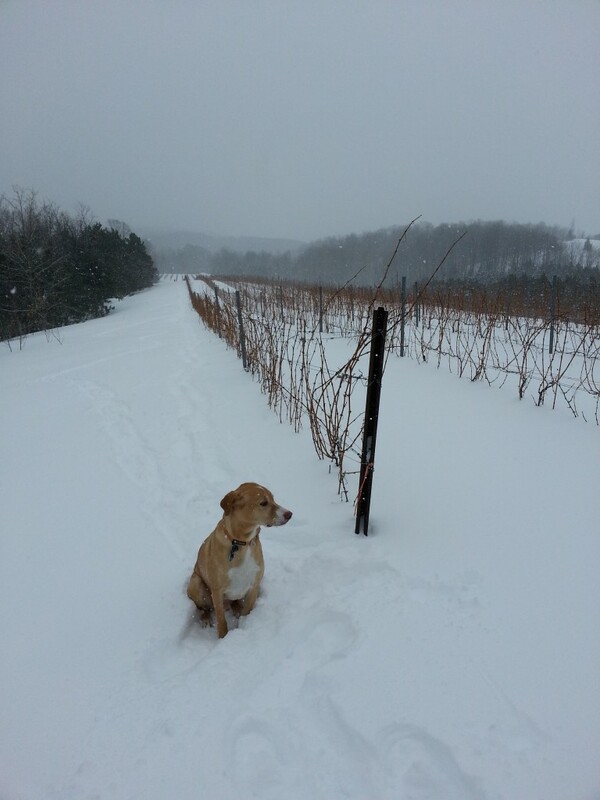 The vines are pretty much covered in the white stuff, which is a good thing. 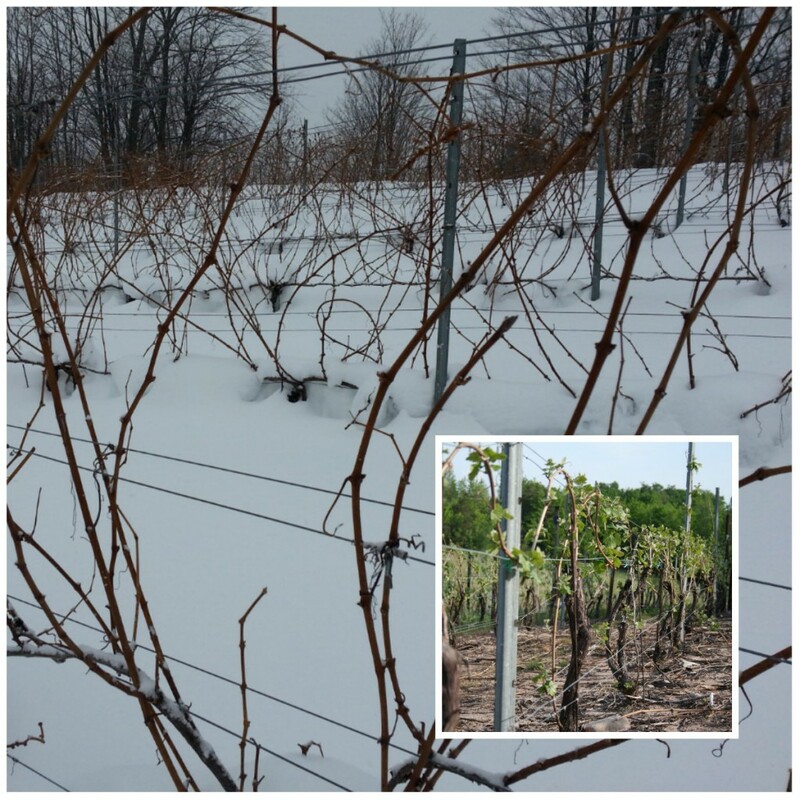 The snow helps protect the vines from the wood chilling winds that can damage and kill the dormant yet tender buds. We hope there has not been too much winter damage but we will wait until we start pruning to find out. In the meantime, our wines have fermented and are now aging under our watchful eyes. 2013 was a year that affirms our stance that white and sparkling wine styles work best in our climate. We had a cold and wet fall that delayed late season ripening yet retained crisp acidity in the fruit. Thus from the 2013 wines we are seeing beautiful acidity and delicate fruit aromas. We are excited for your favorite foods to become best friends with our 2013 wines. In other news, we released C-3 Pinot in the tasting room last fall. We have received positive feedback on the wine, and hope you have a chance to come taste it this summer. C-3 Pinot will be sold exclusively through our tasting room and will not be distributed. We are planning on bottling our 2013 wines in the spring/summer months. We will be selling the 2012 vintage of each wine until they run out, and then we will switch to the 2013 wines. The tasting room will re-open on Thursday, May 1 at noon for the 2014 season.